A Literary Odyssey: Book 93: Waiting for Godot by Samuel Beckett/Finished. 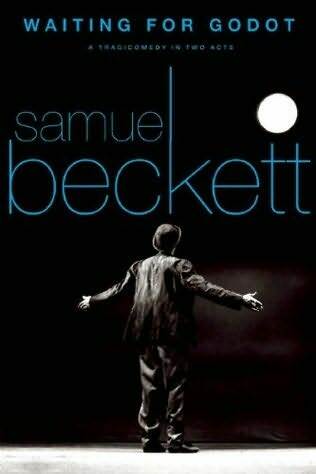 Book 93: Waiting for Godot by Samuel Beckett/Finished. Sometimes you read something, enjoy it, nod your head in the right places, chuckle, and still come away from it scratching your head in wonder. This is one of those pieces. I have no idea how I feel about it. On one hand, I am frustrated that I don't seem to get the deeper meanings and the point of it all, but on the other, my guesses and assumptions seem pretty darn awesome in my mind. The two men waiting for Godot are crazy, loving, and hopeful. Every night they put on a repeat performance in waiting for Godot to show up. I think that they are waiting for answers, for a solution to the lives that they are leading. And every night they go a little crazy, with memories, thoughts of suicide, and not remembering the lives they led a day earlier. 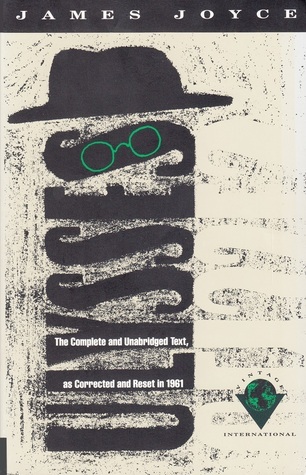 "Estragon: What about hanging ourselves? Vladimir: Hmm. It'd give us an erection." See? In the midst of longing and waiting, they find humor. We can all find humor in our darkest moments if we try hard enough to accept that there are certain things we cannot change. "Vladimir: Did I ever leave you? Estragon: You let me go." But the play also has this slightly bittersweet feeling as well. Like the men know that they may be waiting for something that may never come. They struggle to accept that there are things they cannot change. Eventually, they too will pass on and leave the world behind. "The tears of the world are a constant quantity. For each one who begins to weep somewhere else another stops. The same is true of the laugh. 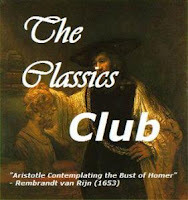 Let us not then speak ill of our generation, it is not any unhappier than its predecessors." This is definitely a play I would love to see live. There are scenes that can only be even more beautiful and funny with an actor performing them. I also think the lines would come alive, the men would seem real, and I would begin to understand what they are waiting for. But for now, I can just enjoy the beauty and wonder of Beckett's words and wonder how long you can truly wait for something to arrive before walking away. "Estragon: Do you think God sees me? Vladimir: You must close your eyes. Estragon closes his eyes, staggers worse. Estragon: (stopping, brandishing his fists, at the top of his voice.) God have pity on me! Estragon: On me! On me! Pity! On me!" Great post. This is one I've never read (or seen), but have heard a lot about. Thanks for sharing your thoughts. I always saw this play as another support for the wise Aerosmith philosophy: Life's the journey, not the destination. They wait, but while they wait, a lot happens. I read this last year and had a similar reaction. Then, a few months later, I saw it performed live. There were quite a few things that just made more sense in that setting. I would say I was still left a bit confused, but pleasantly so. There are a million ideas about the "deeper meaning," but to me it was really about the two main characters' relationshipand dialogue. First time commenting, but I have been enjoying your blog for some time now. I read Waiting for Godot a few years ago for a class, so when I finished it, I started back at the beginning. It was funny how act 1 did not seem particularly displaced read as "act 3". It only adds to the feeling of circularity and repetition I suppose. Favourite line: when one of the two men turns towards the audience and says "interesting prospects". To me it is one more reminder of the construction that is the play and the way author, actors and audience are all part of it.